For as long as I can recall, I have always had an intense interest and love for architecture and anything related to construction, home building, renovation or DIY projects. While I studied environmental science and computer science in college, one of my greatest passions was working as a draftsman during my college years, which I enjoyed tremendously. After college, I worked in the IT industry until the 9/11 attacks, which I witnessed from a distance on that fateful day, while working in Manhattan. This life changing event drove me to seek a career path which would allow me to personally take part in rebuilding the city's skyline. Following my calling, I worked as a quality control and project manager for a well-established company in the construction industry and played a key role in every phase of construction for numerous major construction projects in Manhattan. Having seen several high-rise and residential projects through to completion over several years, including: The Harrison, Trump Soho (Currently "The Dominick"), Silver Towers, MiMA and Yotel, my goal was complete and I decided to make a difference closer to home right here in the Hudson Valley. In order to continue my dream and fulfill my passion for inspecting buildings and homes and helping people on an individual level, I attained a New York State Home Inspector License and began to build House Whisperer Home Inspections LLC, together with my beautiful spouse (and energetic kids). Continuing in the tradition of my role as a quality control manager, no detail is left out and ongoing education is at the core of everything I undertake. To that end, I joined InterNACHI, the world's leading organization of home inspectors, which holds me to a higher standard beyond what is required by NYS and Connecticut. With that, I bring a level of excellence that is reflected in every inspection and report I complete. 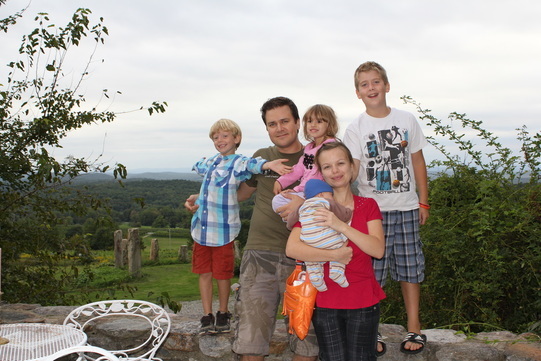 I am 46 years old and the father of five wonderful kids. The home inspection field offers me the opportunity to share my skills and passion locally and to one day groom some of my kids to work alongside me in my full time, family owned and operated home inspection business. Having also worked as a Divemaster, Rescue Diver and being a certified first responder, the driving force that motivates me to do the very best as a home inspector is the aspect of helping people. I pledge to take the stress out of your home inspection, connect with you on an individual level and do my very best to discover any hidden defects or dangers so you and your family are not harmed in any way by your decision when purchasing a home. I will inspect every home as if I am inspecting it for myself and my family, deliver an easy to read and understand inspection report in a timely fashion and be available to answer your questions for as long as you own your new home. That is my promise to you.